​Angela Baumann serves as ConnectionHealth's Executive Director and oversees the organizations' operations and programs. 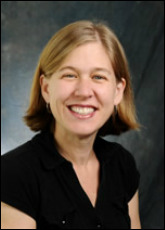 Dr. Baumann is a trained epidemiologist with a Doctorate in Health Education and Promotion. 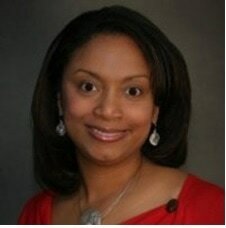 She is also a Certified Health Education Specialist and a Certified Tobacco Treatment Specialist. Dr. Baumann has served this nation as a Commissioned Officer of the United States Public Health Service; conducted research in the infant mortality, child injury prevention, diabetes, and smoking cessation areas; and has peer health coaching experience from the private sector. She strongly believes that “too whom much is given, much is required” and considers it a privilege to provide services to citizens of Jefferson County and surrounding areas. ​​​Andrea Cherrington serves as ConnectionHealth's Volunteer Chief Medical Officer. Under her visionary leadership, ConnectionHealth connects clinic to community. Additionally, Dr. Cherrington holds numerous clinical and academic posts. Medical Director for the Diabetes Clinic at Cooper Green Mercy Health System (CGMHS). Staff physician with the University of Alabama at Birmingham Health System and CGMHS. Multiple academic and research appointments with the University of Alabama in Birmingham. Research focus: developing, implementing and evaluating community-based interventions to improve diabetes prevention and management in underserved communities. Multiple, prestigious grants to further this work and several projects to advance methods of community-based intervention delivery by combining the CHW model with technology-assisted support systems. We have a dynamic team of experienced and well-trained as community health workers. As Senior HealthPartners, Ms. Lampkin and Ms. Young help support and guide patients to live healthier lives, and play a critical role in preparing new community health workers for patient engagement. Diligent outreach and careful data capture ensure that ConnectionHealth Partners are equipped to provide meaningful support to our clients.